The funny thing is that even though I invested in property initially to provide me with a retirement income, I found that my property income was in excess of my salary so I retired at age 27! Now I own a portfolio of 200 properties that will earn me an income now, in to retirement and beyond. Basic Rate Tax Payer I have chosen basic rate as I have assumed most people are basic rate tax rate payers which is the case. Yes. A higher rate tax payer gets a higher retirement income than a basic rate tax payer in a traditional pension example but they still receive less than a property pension. So a property pension is still superior. Basic Rate Tax Payer I have chosen basic rate as I have assumed most people are basic rate tax rate payers which is the case. 8% yield There are many properties and areas that offer an 8%+ yield. Join my newsletter at www.ahuja.co.uk to get a full list of them Yes. The higher the yield the higher the profit per year thus reducing your overall contribution. If the yield is 6.75% then the profit over the 25 years matches your contribution to property so that your overall contribution is nil. Below 6.75% yield and you will then have to contribute out of your own pocket. Above 6.75% yield requires no overall contribution. Over 75% of properties on the market offer a 6.75%+ yield so there is no shortage of suitable properties. 8%+ just gives you that comfort margin. Deposit Level of 15% At the time of print there was only one 15% deposit level lender. However the credit freeze is melting and I expect many more 15% deposit products to come on to the market and in the long run be the average level of deposits in the future. Yes. If you have to find more deposit money then this will affect performance. You could use more complicated no money down strategies to match if not better the performance outlined above. If you want to find out more visit www.ahuja.co.uk and join my newsletter. How much do you need? You have to know how much you need! If you don’t spend the time to think about it then you face the possibility of not having enough. Setting a target income means that you have something to aim for. On the face of it it seems a difficult question to answer. Your retirement age may be 25 years away and you will have no idea what £1 is worth in 25 years time. The fact is you don’t need to! What you can do is ask yourself what will you need in today’s value of money. Because rental income rises with inflation then all we have to do is express our desired retirement income as rental income at today’s value. So if you earn £25,000 per anumn now and would like to keep the lifestyle you have then you require £25,000 rental income at today’s rental market value. So how much will you need? Think about your likely monthly expenses of living and what you would like to do in your retirement. So don’t forget the obvious expenses such as food, bills and clothing and don’t forget to omit your mortgage expense if you plan to pay off your home by the time you hit retirement. If you wish to travel in retirement then allow for that expense. So you should be able to come up with a monthly figure. When do you want it? You need to know when you wish to retire so you can put a timescale to the objective. You can then set mini-targets within the timescale so you can monitor how well you are doing. If mini-targets are not being met you can adjust your strategy to bring you back on track. So when do you want to retire? Answering ‘tomorrow!’ is neither helpful nor practical. Consider your age now, how long you would like to work and what you want to do in your retirement. Remember, retirement can be boring for some people, as many early retirees have admitted. Set a realistic timescale which takes in to account your target retirement income. All these factors are correlated. That is to say if you don’t have much money to put in then be prepared to put in more time and accept a higher degree of risk. If you increase the time you put in then you won’t have to put so much money in or accept so much risk. Lets look at exactly whats expected from you. Acquisition You need to find the properties that will deliver you an income! This involves researching suitable areas, looking through the local press, speaking and dealing with agents, visiting prospective properties, arranging finance and whatever else is needed from you to acquire a property. You can approach a property buying company that will do all this for you based on your criteria. This costs! These companies can charge up to 5% of the purchase price so they can work out expensive. I offer this service. If you don’t have the time and require this service then contact me. My details are in the front of the book. Find a tenant You have to advertise, do viewings, credit check and take up references of prospective tenants. Use a letting agent. They charge a fee of around 10%+VAT on the rent collected. Legal documents You need to prepare the legal documents to bound all parties or to evict tenants. Use a letting agent. They charge a fee of around 10%+VAT on the rent collected. Or use my documents detailed in the Appendix. Rent Collection You need to arrange for the rent to be collected. This may be face to face collection from the tenant’s doorstep, collection from the benefits office or through your bank. Use a letting agent. They charge a fee of around 10%+VAT on the rent collected. Or you can use my standing order set up form detailed in the Appendix. Repairs You need to either repair the problem or instruct someone to do the repair. Use a letting agent. They charge a fee of around 10%+VAT on the rent collected. Tax Return You need to declare what you’ve earned during the financial year in order to pay tax. This requires accounting for all receipts and expenditure associated with the property. Use an accountant. Or you can subscribe to www.propertyhotspots.net to manage your finances. Initial investment You need a deposit to buy a property. At a minimum it will be 15% of the purchase price. You will also need the associated fees that come with buying a property. These are valuation fees, solicitor costs, arrangement fees, finder fees, initial void period and essential repairs required before letting the property. You need to save for a deposit if you want to buy a property. You can borrow the deposit and fund the repayments to the loan from the rent achievable once the property has been bought. This increases your risk due the increased borrowing. You can find a property yourself thus eliminating a finders fee to a property agent. You can buy a property in a good state of repair thus avoiding any essential repair costs. Monthly contribution You may have to contribute over and above what is received in rent if you get hit for a large repair bill, interest rates rise, the tenant defaults or you wish to pay off the mortgage early. Take out insurance on tenant default or any large repairs. This means the insurance company pick up the bill. The cost of this is the insurance premium. Fix your interest rate so fluctuations are not a concern. Thus if you have chosen a property that returns a rental income in excess of the fixed mortgage payment then you are assured that you do not have to contribute. Take out an interest only mortgage. This keeps the mortgage payment at its lowest possible point so the margin between rent and mortgage cost is at its highest. Go for a higher yielding property. The higher the yield the higher the profit margin. Please note – the higher the yield the higher the risk! 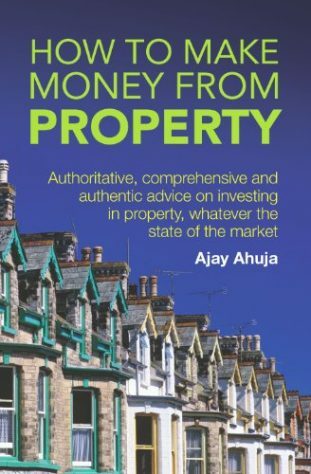 In chapter 1 we dealt with the risks in property. There are always risks of owning an asset but there are also benefits! You can mitigate against these risks and they cost but there will always be a residual risk remaining. So you will always have to accept a degree of risk. You need to decide what risks you are willing to take as this will determine the strategies open to you. Now these three factors, time, money and acceptance of risk have to bear some relation to your objective. If your objective is to have a retirement income of £100,000 p.a. at today’s value in 5 years and you earn £20,000 p.a., have no savings, no time and willing to accept a very low level of risk then it won’t happen! If your objective is to have a retirement income of £100,000 p.a. at today’s value in 5 years and you earn £20,000 p.a., have no savings, willing to contribute, little time and willing to accept a high level of risk then it might happen! If you wish to earn a retirement income of £20,000 p.a. at today’s value in 15 years and you earn £20,000 p.a., have no savings but the discipline to save, have a bit of time, and willing to accept a medium level of risk then it probably will happen. So how do know what won’t, might or will happen? This is best explained by looking at two extreme cases and what’s in between. So, in my professional opinion, as long as you are willing to earn a retirement income that is what you are earning now, that is 15 years away, have the time, can save and have savings, accept a medium level of risk then it WILL happen. 0.5 – 5 times your actual income now How much do you want based on today’s value. Do you think you will have expensive tastes in retirement? Do you want a simple life in retirement? Or do you just want what you have now? 5 – 30 years How soon do you want to retire? Is it soon, next decade or next millennium! TIME Low/ Medium/ High Are you willing to be involved in the buying process, rent collection and repairs? Or do you work full-time (and overtime!) and want zero involvement? MONEY Low/ Medium/ High Do you have a deposit? Are you good at saving? Are you willing to contribute month to month? Or do you have no savings and require a monthly profit from the properties? ACCEPTANCE OF RISK Low/ Medium/ High Are you willing to borrow significantly, accept fluctuations in interest rates, take interest only mortgages and go for less desirable properties that yield highly? Or do you want minimal borrowings, fixed rate borrowings, repayment mortgages and nicer properties near your home town? Based on this profile we can match it to the strategies available. What’s your profile? Take your time to really think about what you want. Is it realistic? Will it be enough? Do you earn enough to save and/or contribute? Can you take a higher level of risk? Based on your profile we can match a strategy or even a number of strategies based on your profile. Chapter 3 has all the answers. Well the 3 strategies above can meet this objective. Buy & Then Hold This involves buying a property (or properties), repay for it in full by retirement and live off the rental income through retirement. You rely on the property to be an easily rentable property so as to provide a safe income for retirement. Buy & Then Sell This involves buying a property (or properties), making the repayments during the period of ownership and then sell the property and clear the debt (if any). The balance of the monies are then used to purchase an annuity to provide an income till death. You rely on the growth of the property to be sufficient enough to purchase an annuity to meet your target income in retirement. Buy, Then Part Hold & Part Sell This involves doing a mixture of both strategies above. Combination of both above. Buy a desirable property with less than a 9% yield on a repayment mortgage and place with a letting agent to manage the property. The investor understands that he might have to contribute on top of the rent to cover the mortgage payment but has the assurance that the property will be paid in full. It will then provide an income for life. Med Buy a property in a less desirable area but yielding in excess of 10% on an interest only mortgage. The investor will manage the property himself but knows that it is unlikely that he will have to contribute on top of the rent as the property yields high and the mortgage is interest only. He hopes that the property value grows sufficiently in value in order to purchase an annuity to provide him with an income till death. High He does a bit of both above. He is happy to buy more than one property and manage them himself. He uses the profits from some to fund the others but his risk is reduced due to the investor not relying on one single strategy. Overall risk is medium due to the greater exposure he has to the property market but he can capitalize in each market when the market is high. So think about whether you want to own and run a property or properties pre and post retirement. Think about how much money you want to put away for saving up for a deposit and ongoing pre-retirement. Think of the level of risk you want to expose yourself to – Do you want only one property or a few? Do you want repayment or interest only mortgages? Do you require a risk free income in retirement? Based on your own profile and personal preferences you should come up with a strategy you want to go for. To help you decide lets look at some examples. I have decided to ignore tax consequences in these examples to keep the figures simple. He has decided that he wants to Buy & Then Hold so he can pass the properties down to his children. But he also doesn’t want to pass any debt on so he intends to own the property outright. He works full-time so he doesn’t want to manage the properties and he wants desirable properties that are easily let out. He has the ability to save and a willingness to contribute on an ongoing basis if need be. The strategy would to be buy one or more properties that give a rental income of £24,000. As he is a low risk investor he would buy a low yielding property, such as 8%, on a repayment mortgage. This could be 3 properties costing £100,000 producing an £8,000 per year income. He will also have the property managed by a letting agent. Some people do use there personal home to provide for themselves in to retirement. The theory is that you downsize to a smaller property due to the kids leaving and purchasing a bungalow in a quieter area and rent out your own property. Is the rental value of your home equivalent to your desired income in today’s standards? Will the property be paid in full when its time to retire? Will you have saved enough to buy a property for yourself to live in? You can always sell your own home and buy two cheaper properties and live in one and rent out the other. This falls in to the strategy of Buy & Then Sell. But the key things you need to consider above still apply. Susan doesn’t earn that much money. She earns £15,000 and cannot afford to contribute anything on a monthly basis. But she does have savings of £15,000 left to her by her late grandmother. Susan want’s twice her annual income in real terms in her retirement within 20 years! Funnily enough this is possible due to her attitude to risk.